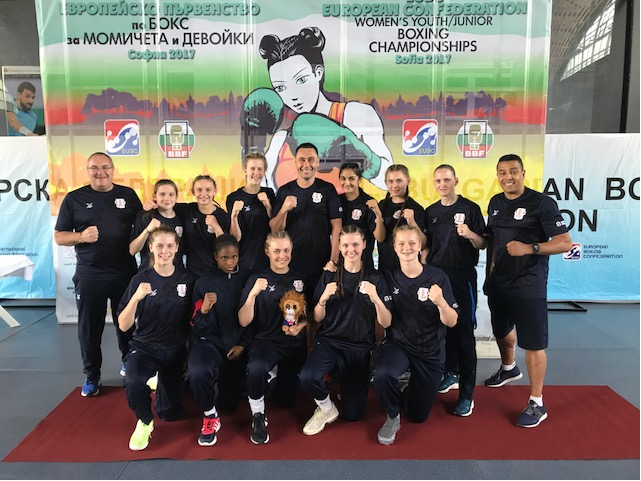 England boxers set standards high at the recent EUBC European Women’s Youth and Junior Championships, as they returned to the UK with a phenomenal eight medals. Thirteen boxers competed at the international tournament, the two teams were made up of ten junior boxers and three youth boxers. Between them they achieved a grand total of five gold and three silver medals, seeing England finish top of the medal table for the Junior squad, ahead of Russia and Turkey. England also camp forth in the Youth medal table, behind Russia, Bulgaria and Poland. The Championship was held in Sofia, Bulgaria and ran over eight days. It saw competitors from eighteen countries including Russia, Ukraine and Turkey.